In 2017, Samuel Bak Museum was opened in Vilnius as the first museum in the world, devoted solely to the art of this prominent Litvak artist. Samuel Bak was born in 1933. At the age of nine he had already held his first exhibition of drawings. Samuel Bak miraculously survived the Holocaust and ended up in a displaced persons camp in Germany. After living in Israel and Europe, the artist settled in the United States where he continues his creative work, valued by art lovers and critics worldwide. The artist has so far donated 54 of his works to Lithuania and to Samuel Bak Museum (which functions as a branch of the Vilna Gaon State Jewish Museum) and intends to donate dozens more. Upon receiving the rest of the artwork, we will open second exhibition space of Samuel Bak Museum and an education centre. Your donations will be used for transporting the paintings from Boston, USA, to Vilnius, Lithuania. With your help, we could enrich Museum's collections and display these paintings in a brand new exhibition space. Read more or donate here. Thank you for helping us tell the story of Samuel Bak through his paintings! 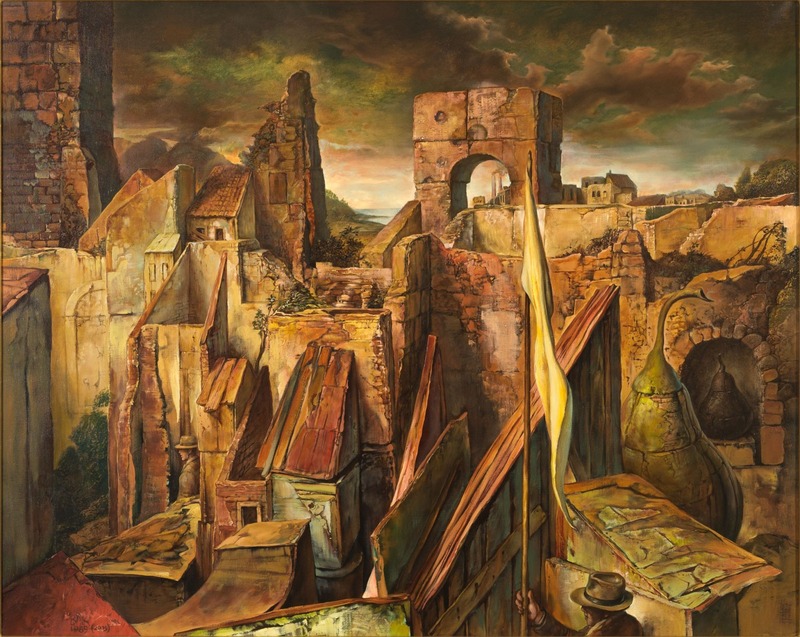 Samuel Bak, "The Ancient City". © Samuel Bak / © Vilna Gaon State Jewish Museum / © Pucker Gallery.